These super wide-angle views of Battersea Power Station at night were created in the last week before redevelopment was due to start. This iconic London landmark will soon be redeveloped to include 3,500 homes, an underground station, theatre and health centre. The three panoramas displayed here were taken from near St. George Wharf on the South Bank just after sunset and from Grosvenor Road on the North Bank after night had fallen. Each image was created by stitching 24 photographs together to create a 360°x40° wrap around view. As it was after sunset long exposures were required and light trails can be seen from the passing cars and boats. 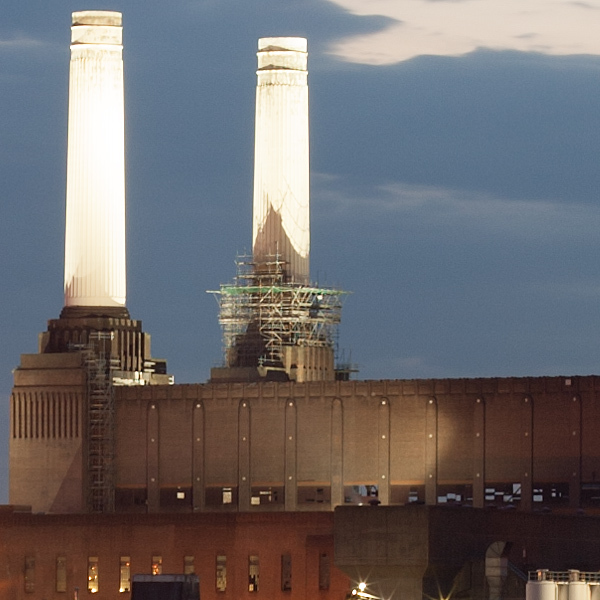 Battersea power station is a grade 2* listed building and the largest brick built building in Europe; it lives up to its iconic status with its chimneys floodlit against a cloudy night-time sky. Battersea Power Station from St. George Wharf Vauxhall (360°x40° panorama). A stitched panorama (210°x40°) using a 50mm lens on a vertically mounted camera of Battersea Power Station after sunset. This detail when printed would be 6cm x 6cm in size. Battersea Power Station at night from Grosvenor Road (360°x40° panorama). 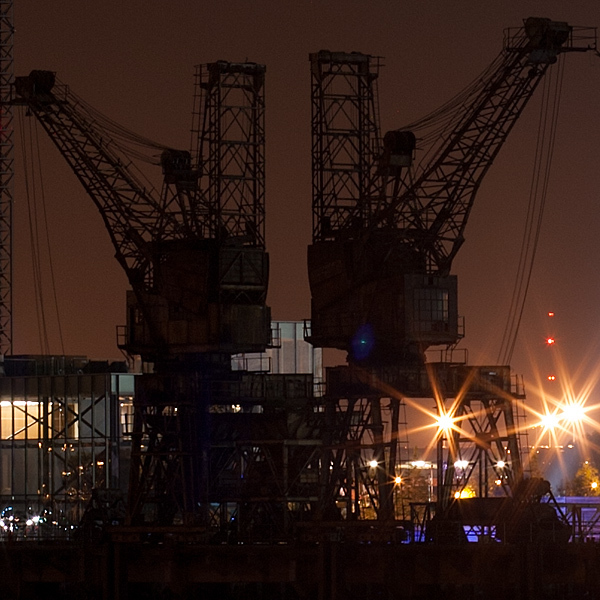 A stitched panorama using a 50mm lens on a vertically mounted camera of Battersea Power Station at night (210°x40°). The view of Battersea Power Station at night from Grosvenor Railway Bridge (360°x40° panorama). A stitched panorama (210°x40°) using a 50mm lens on a vertically mounted camera of Battersea Power Station at night. This detail when printed would be 8cm x 8cm in size.